As selling gets more complex and buyers become more informed, sales productivity continues to present challenges for all companies. But while the struggle is real, the solutions are out there. 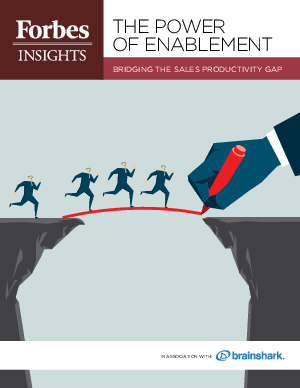 New research from Forbes Insights and Brainshark reveals how top-performing sales teams see real and measurable results from their focus on best-in-class sales practices.